RealEstateRama Palo Alto Housing Breaks Ground on New Affordable Veterans and Workforce Housing in Mountain View, Calif.
Palo Alto Housing Breaks Ground on New Affordable Veterans and Workforce Housing in Mountain View, Calif.
MOUNTAIN VIEW, Calif. –- (RealEstateRama) — On June 12, 2017, City of Mountain View Mayor Ken Rosenberg, Santa Clara County Board Supervisor Joseph Simitian, State Housing and Community Development Director Ben Metcalf, California Department of Veterans Affairs and other local leaders will celebrate the groundbreaking of Eagle Park Apartments, an affordable residential rental community being developed by Palo Alto Housing (PAH) in the center of Silicon Valley. Eagle Park Apartments will utilize environmentally sustainable design and construction. In its more than 47 years of service, non-profit Palo Alto Housing (PAH) builds, develops, acquires, and manages low- and moderate-income housing in the San Francisco Bay Area. With over 700 units located on the Peninsula, PAH provides high-quality, award-winning housing with subsidized rents, to the greatest degree possible, and supports its residents in reaching their goals through its Resident Services program. 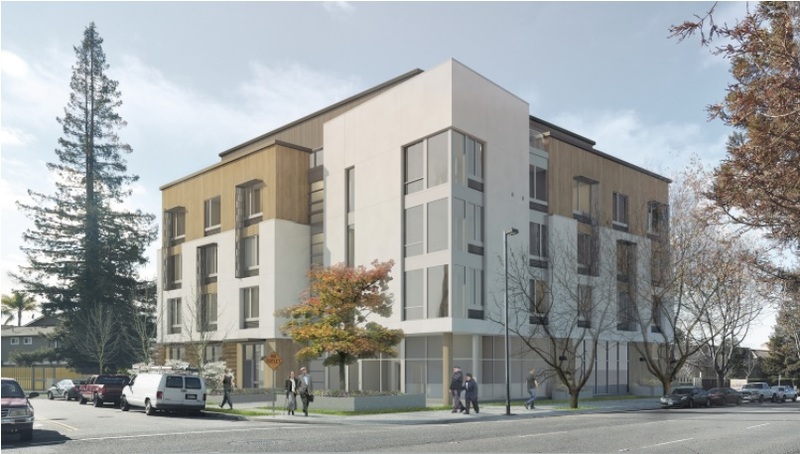 Palo Alto Housing continues to expand its portfolio and focuses its future housing efforts along transit corridors on the Peninsula. For more information, visit www.pah.community.